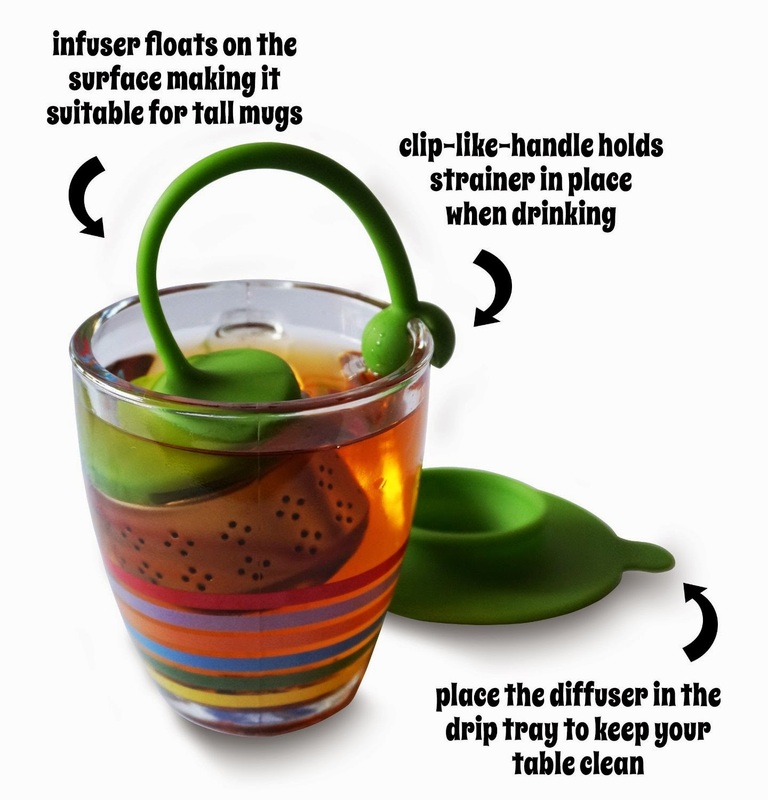 ★ NO MORE FLOATING TEA LEAVES! The tiny diffusing holes are great for retaining medium to coarse loose tea leaves and at the same time allows ample water to seep in to create a thorough and clear brew! 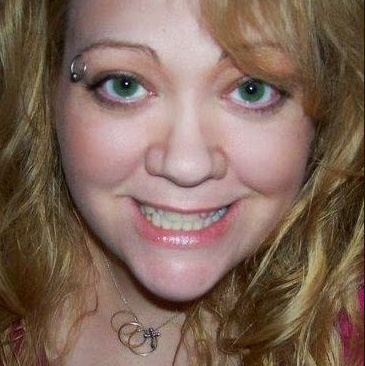 ★ NEVER BE BURNT BY A HOT HANDLE AGAIN! High grade silicon handle is BPA free and remains cool to touch despite being immersed in the hot tea! ★ EASY TO CLEAN! 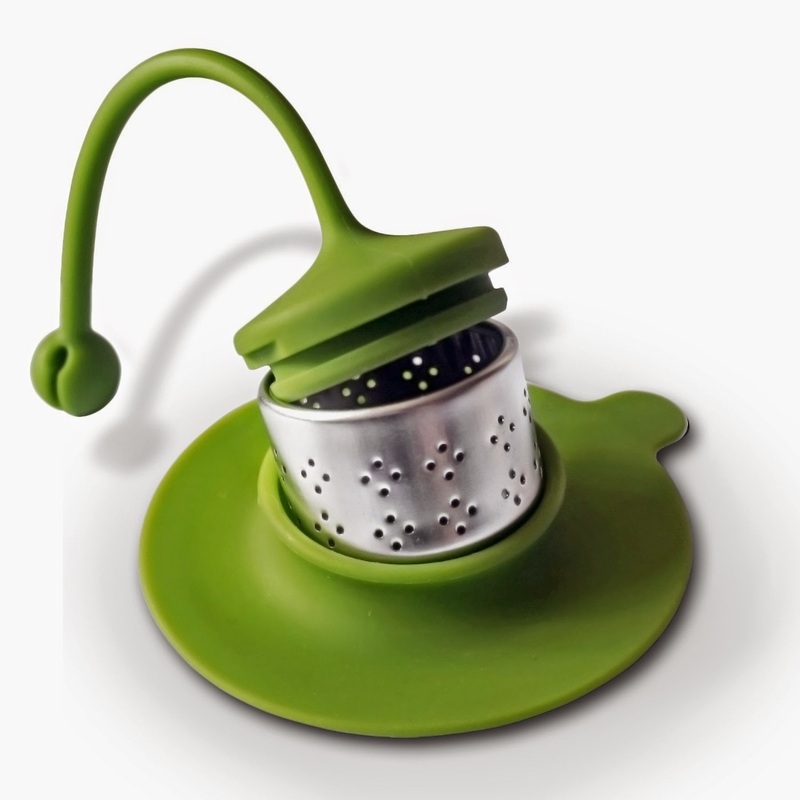 Tea leaves will not get stuck on the diffusing holes or on the lid. Rinse it under the water for a quick clean up. Or simply place it in the dish washer! ★ LIFETIME GUARANTEE! Our products are covered by a no question asked LIFETIME money back guarantee! 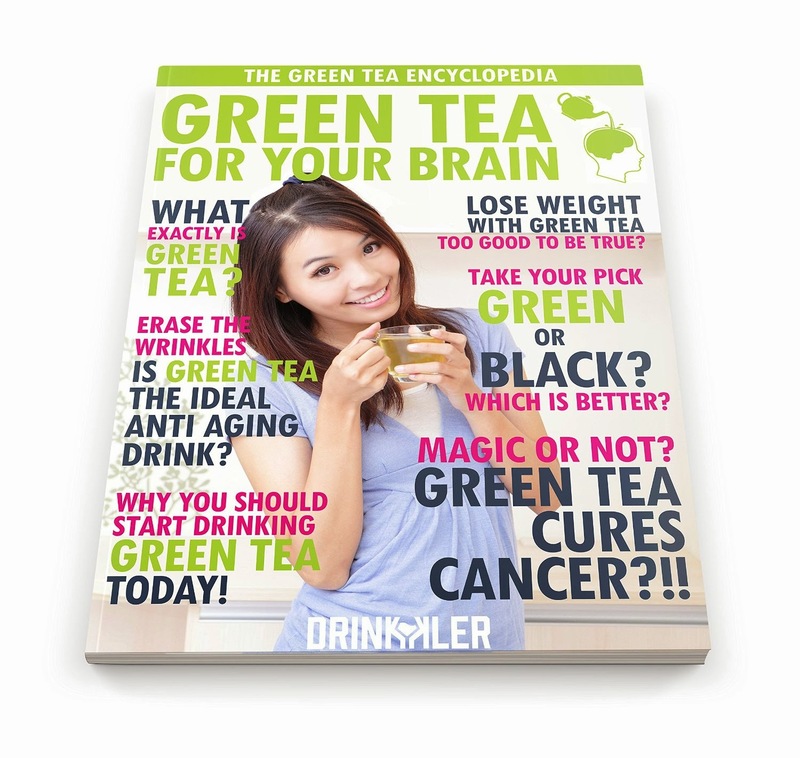 Also you will get the highly anticipated Green Tea for your Brain eBook for free! We took the old tea strainers, kept the positives and reinvented how tea infusers should work. We thought about the whole process of tea brewing, and wanted to design a tea infuser to allow you to enjoy more of the tea and less of the "inconveniences." 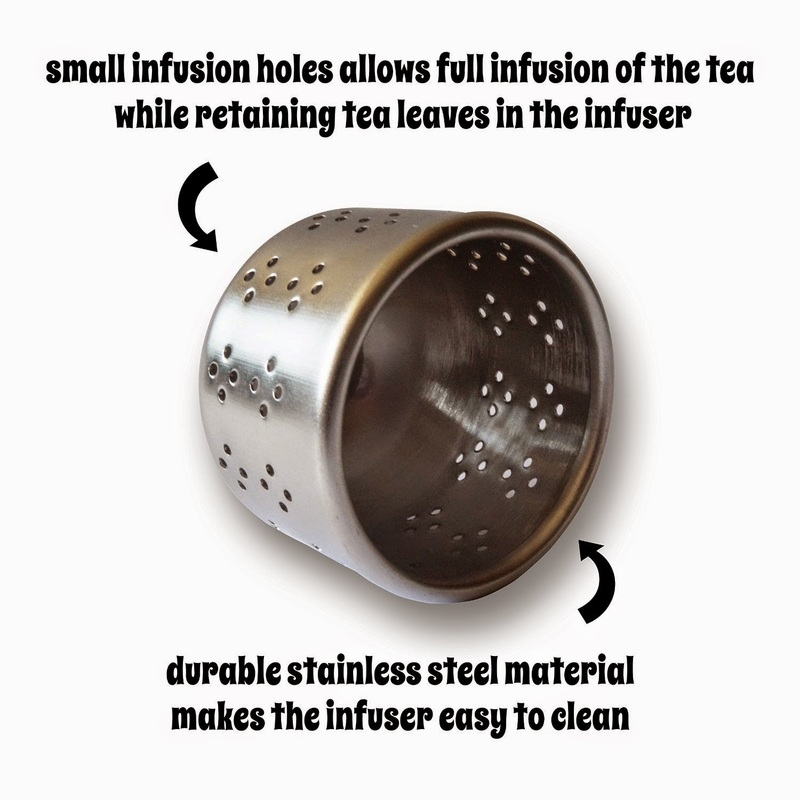 The bottom part of the infuser is made from stainless steel making it very durable and easy to clean. Yes, it can be a challenge to remove the lid on your first attempt. That is because we a tight fitting lid to prevent tea leaves from escaping the infuser and to enhance the durability of the infuser. At the end of the handle you will find a clip which allows you to clip and secure the infuser to the edge of your cup instead of letting the infuser float awkwardly in your cup (more about the floating later.) Our silicon is BPA free. Our tea infuser floats. The long handle allows you to push the infuser to the bottom for a more thorough brew, and at the same time makes it possible to be used in different sizes of cups and mugs. IT'S A DRIP TRAY. IT'S A MUG LID. IT'S BOTH! This could be the biggest drip tray for a tea infuser on Amazon. 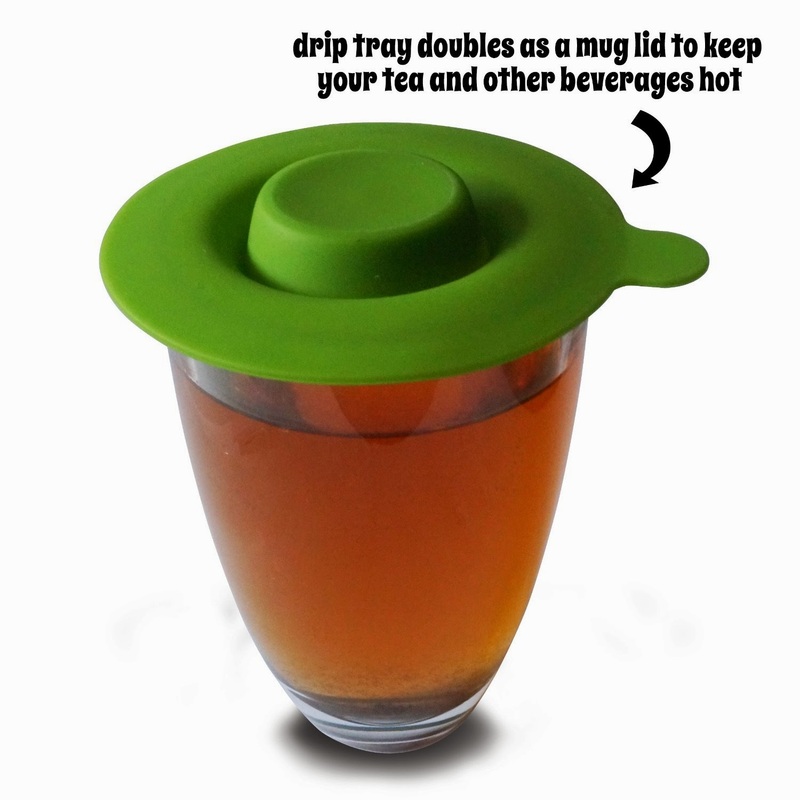 Why only make a drip tray when we can extend it's function to be a mug lid too? 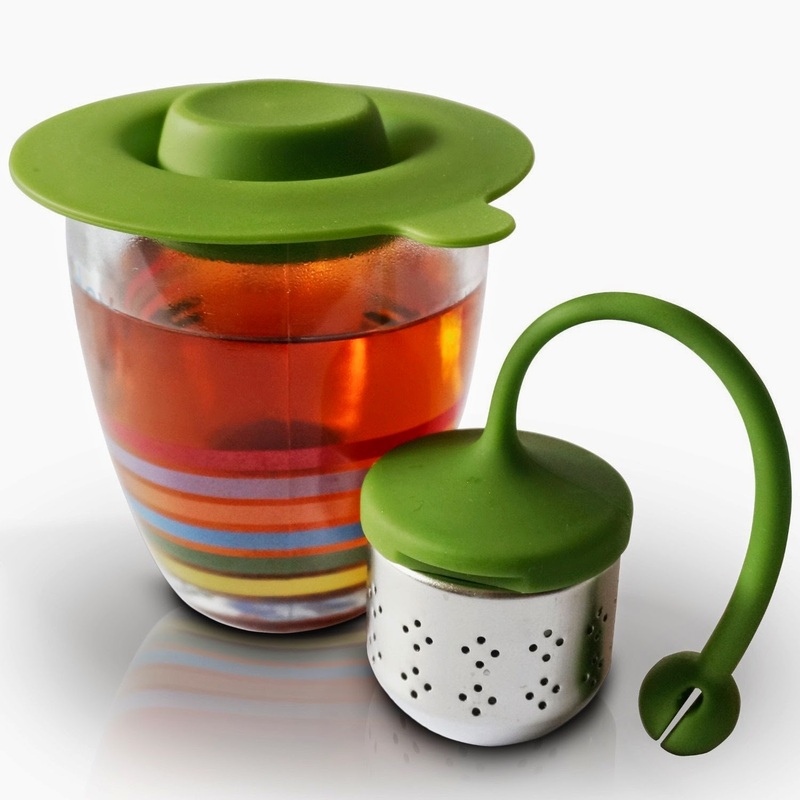 When you purchase our tea infuser, you get a mug lid to keep your tea and other beverages hot! Also, the huge size minimizes tea droplets on the table when you are transferring the infuser to the drip tray. 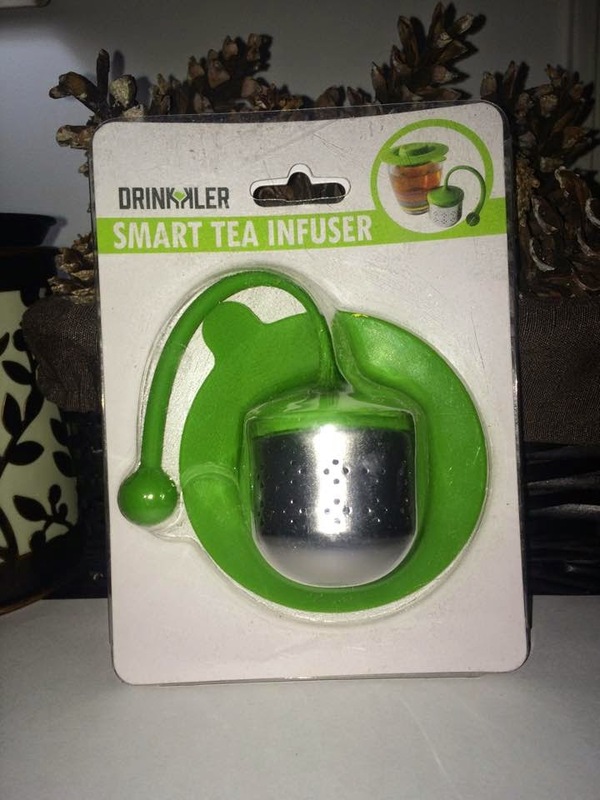 I am happy to get to try the Drinkkler Smart Tea Infuser. It fit very well onto my favorite tea cup. I really like the silicon handle, it clips and stays secure on my cup and allows the basket to float. I like that the cap also serves as a drip tray. 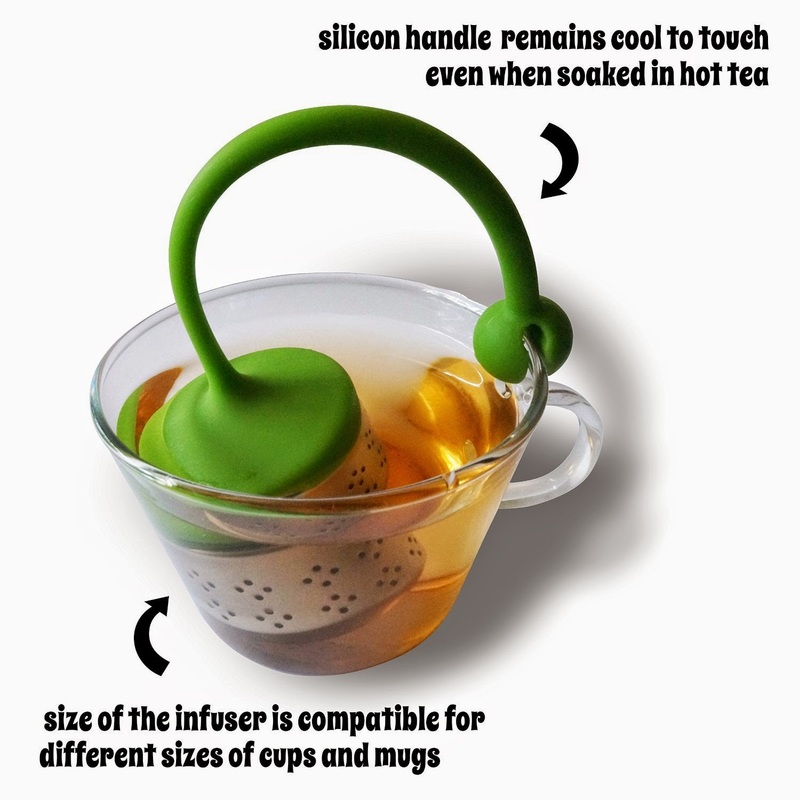 This little tea infuser is very practical and very useful for seeping loose leaf tea. It makes a nice clear tea that I enjoy very much each day. It works great and is quick and easy to clean. I recommend it!